Kosora. Photos and text by Alisha Ivelich. Not much sounds better than getting a couple of beers with your friends outdoors on a warm summer afternoon or hazy summer evening. Here’s a quick overview of three beer gardens in Tokyo; find something to suit your mood or the group you’re with. 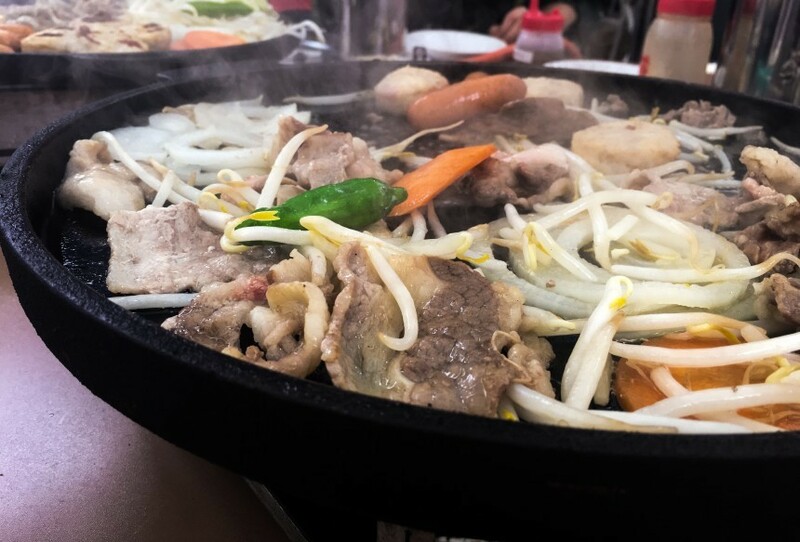 A well-established beer garden (in its 34th year) just outside Shinanomachi station, Mori no Beer Garden (or Forest Beer Garden) offers a two-hour, all-you-can-eat-and-drink option. Food includes a combination plate composed of Angus beef, seasoned lamb and sausage, chicken meatballs, thin-sliced pork and some vegetables. The tables come equipped with a hot plate where you can grill everything together. In addition to the combination plate, there’s a yakisoba plate available. You can also order any of the combination plate items à la carte. Examples of other side dishes available are fries, rice, salads and edamame. Beer (Kirin Ichiban, Kirin Ichiban Stout, Budweiser and Heineken) is self-serve – each diner receives a mug – and free to refill at will. For non-beer drinkers, lemon and orange sours are available, as well as simple cocktails, wine, shochu and highballs (which can be ordered by the pitcher; just ask the staff). Soft drinks are also available. Admission is free but the two-hour all-you-can-eat-and-drink is ¥4,200 for men and ¥3,900 for women, with discounts available for children. Best for an outing with friends or coworkers. Reserve online or by phone. Same-day reservations not accepted. Mori no Beer Garden is open until Sunday, September 24. For a more health-conscious option, plus a charming atmosphere, consider Tokyo Kosora. 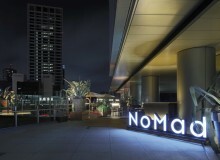 Find it on the roof of Lumine 1 in Shinjuku, and enjoy with close friends or a casual date. The location is reservation only (online or by phone). Diners get to choose from a wide array of healthy vegetable dishes, a selection of fried foods, a salad bar and even an ice cream bar. 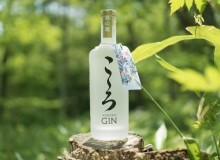 Drinks are self-serve; there is only one type of beer (Kirin). Basic cocktail ingredients are also provided, and guests can mix their drinks to their liking. Red wine, white wine and champagne are also available, as are soft drinks. Diners need to book a course here; the standard course is ¥4500 and includes all-you-can-eat-and-drink, and provides an extremely filling roast chicken for each diner. The sirloin steak plan (¥5,500) is identical to the standard plan, only a sirloin steak replaces the chicken. The “anniversary plan” (¥5000) is the standard plan, plus a dessert plate (complete with special message), music and video projection service (for birthdays and other special occasions). 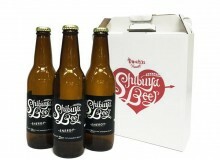 The short plan (90 minutes, only available after 9 p.m.) is ¥4,000 total. Alternatively, the “long plan” can be applied to any of the plans to extend the all-you-can-drink time by 30 minutes for ¥500 yen per person. Finally, booking more than two weeks in advance will get you a ¥500 discount (not applicable in September or August). Toko Kosora is open until Monday, October 9. Tokyo Kosora. Lumine Rooftop 1, Nishi-Shinjuku 1-1-5, Shinjuku-ku. Nearest station: Shinjuku. Hours: Mon–Fri 5pm–11pm; weekends & holidays 4pm–11pm. tokyo-kosora.jp. 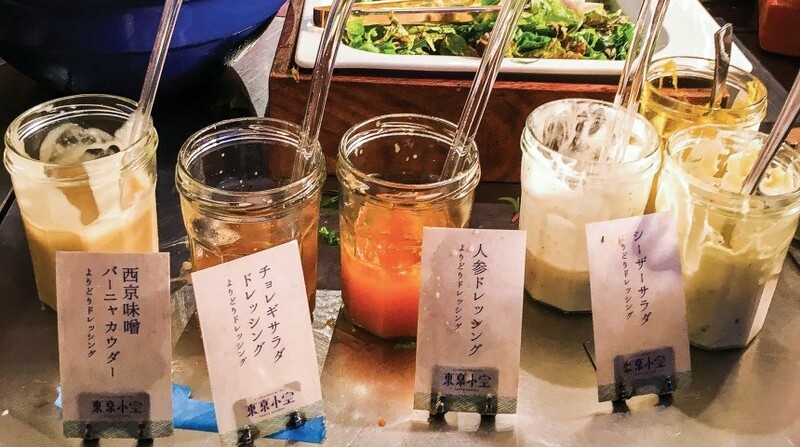 For something atmospheric and without the all-you-can-drink crowds, check out Marunouchi House’s summer event, Beer Terrace. 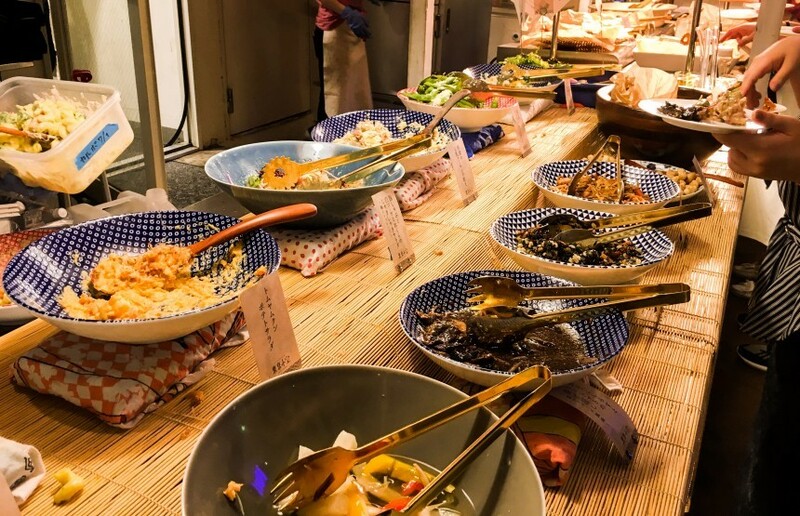 This beer garden is on the 7th floor of the Shin-Marunouchi Building (just outside of Tokyo Station), and offers an impressive array of over a hundred dishes available from restaurants on the floor for “take-out” on the terrace surrounding it. A fold-out menu is available (Japanese only) which lists the dishes on offer (along with the beer provided by each restaurant). Diners place their orders with the restaurant(s) of their choice and receive a buzzer that rings when their food is ready. Diners can pick and choose items they like from the different restaurants, but will need to order separately at each location, so this is a great option if visiting with a group of people with different tastes or dietary requirements. Visit in the afternoon for a chance to see Mt. Fuji, or visit at night to look out over an illuminated, beautiful Tokyo Station. The mood is laid-back but adult and popular with couples. Prices vary according to restaurant (as do portion sizes). This is a great location if you’re looking for a view, or are in the mood to sample a variety of dishes. Reservations not accepted. 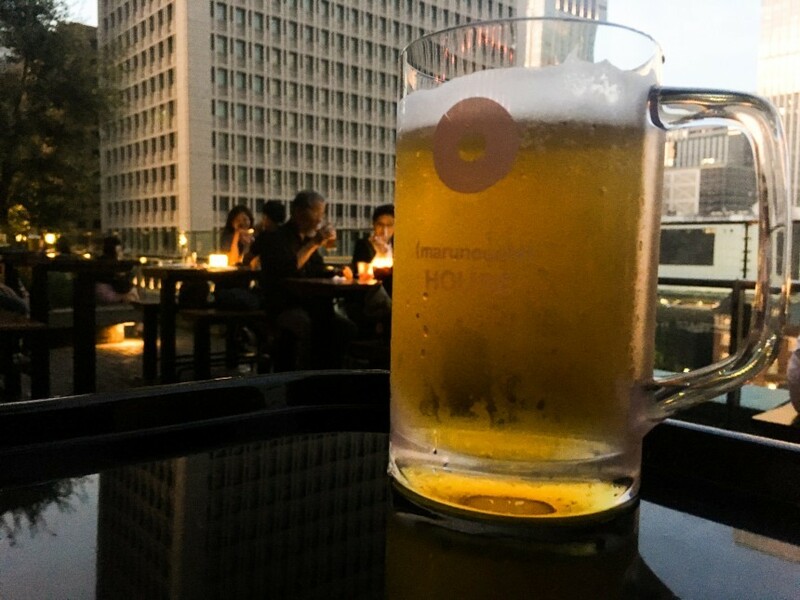 The Marunouchi House Beer Terrace is open until Friday, September 29.